On the Formidable form, I have three check boxes. None, one, two, or all three could be checked. On the field mapping, the name in Formidable is “Employment Desired”. When the form is submitted, none of the boxes are being checked in the PDF file. I’ve tried to use separate values in the Formidable form and made the values “Full”, “Part”, and “Seasonal”. Then in the PDF file, there is an “Export Value” under the Options tab for each of those checkboxes. By default, they all said “On”. I changed them to “Full”, “Part”, and “Seasonal”. Still not getting any of them to check or fill in. I got some radio buttons working perfectly fine – either one or the other is checked/filled in. But this one that is multiselect with three options doesn’t work. Sounds like Formidable values are not actually, “Full”, “Part”, but are “Full Time”, “Part Time”… Try to copy/paste the Formidable checkbox values to the PDF export values and re-upload the PDF with the same filename to overwrite the existing PDF so there’s no need to recreate the field map. 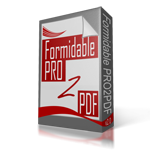 Or, email a screen shot of the Formidable checkbox and the PDF form to support AT formidablepro2pdf DOT com. Or, complete this form to have us take a look at your site.